Katsura Palace is a royal family mansion located on the west bank of the Katsuragawa River, in the western outskirts of Kyoto. In 1615, Hachijo no Miya Tsoshihito began construction of the villa and it was completed after 47 years. In the area of ​​about 70,000 square meters of Katsura, there are Shoin (chapel), Chatei (tea room, rest) located around a large lake in the center. The entire villa has a beautiful Japanese feel with harmony between the garden and the architecture around it. The beauty of the garden attracts a lot of people and it is hailed as a masterpiece in Japanese gardens. Around the lake are Koshoin (ancient library), Nakashoin (middle library), and 4 Chatei are Shokintei, Shokatei, Shoinken, Gepporo. In addition, guests can take a boat ride, sightseeing on the lake. From the boat can admire the garden with beautiful architecture in harmony in fresh nature. 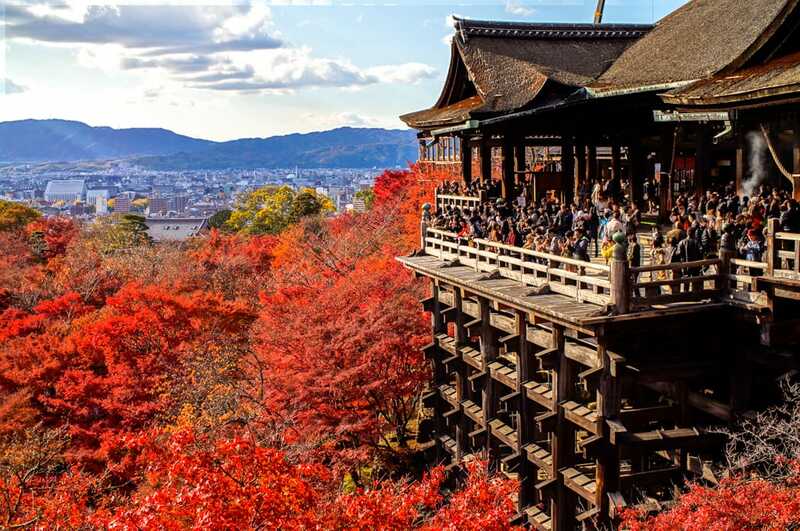 The Katsura Royal Palace is located on the banks of the Katsura River, built by Prince Toshihito in the 17th century. It occupies about 58,000 square meters. From above, the garden view looks impressive with ancient architectural complexes adjacent to each other, next to the large reservoir. All surrounded by dense forest. This mansion was designed as a location depicted in the famous 11th century Genji narrative novel. In his design, Prince Toshihito is less interested in luxury and more focused on recreating the context of his favorite novel. He devoted his entire resources to the creation of gardens, tea rooms and mansions to create this palace. After his death, his son continued the project, expanding the scale of the gardens and the number of tea rooms. In the 20th century, the mansion was included in the book by German architect Bruno Taut, and became extremely famous in modern architectural circles, such as Le Corbusier and Walter Gropius. The shoji complex is quite rustic, and serves as the center of the royal garden. Viewed from the outside, this architecture resembles a lively orchestra with a harmonious blend of black columns and white walls. Step inside the house, visitors will feel the beauty of a space of traditional Japanese style architecture with all the columns in the house are made of wood, the rooms separated by a pull door fusuma. Paste washi paper, floor tatami mats. When pulling the fusuma, both rooms become open. The most important factor in Japanese architecture is the harmony of the outer and inner nature. In the shoji house design, the sliding door plays an important role as it helps bring outside light into the room. Beneath the window in the shoji house is a wooden frame that can be pulled up. In the summer, people pull the wooden frame up to reveal a small space under the window, helping the wind to enter the room but prevent the sun sharply. If you want to admire the beauty of nature outside, the owner of the house just pull the window to the two sides, a wide open space in front of the eyes. The ceiling is a combination of beams that support the board above them, creating countless squares on the surface of the board. Each square is a different wood grain, this compatible combination is a variation to help the ceiling become lively. At the corner of the room, also known as the Tokonoma, a variety of shelves are available in different shapes and sizes. On the shelves are small rectangular drawers placed horizontally or vertically. The royal garden of Katsura Rikyu is one of the treasures of the emperor. It does not excite the magnificent, splendid, but the rustic, pure beauty of traditional Japanese architecture. In addition to the residential architecture, Katsura Rikyu also has gardens, a lake and even a vast forest surrounding it. It's like Japanese miniature nature with full of mountains, forests and sea. Right at the entrance to Katsura Rikyu is Miyuki-mon gate. The gate is made from natural materials with wooden columns and straw roofs. Stepping past Miyuki-mon gate, people will set foot on the Miyuki-michi road. At the end of this road is the garden and the architecture of the house. Sugar made entirely of pebbles in nature. Each stone is intentionally arranged to help the pavement become flat. The result of this feat not only creates a beautiful appearance for the road but also makes rain water easily permeate to the soil and the road is very dry. Next to Miyuki-michi, many other places in the garden have other rock paths. There are 1800 large stones arranged in succession. They serve as guides for those who first come to Katsura Rikyu. The stones are kept original colors and shapes. Right in the middle of the garden is a large lake spread. It is not meant to be a reservoir of water that contains complex symbolic images. In this small garden, the sea and the artificial mountains were erected in accordance with human intentions. Walking around the garden, visitors can easily catch the small stream flowing winding. A small waterfall with a height of about 20 cm appears in the stream bed. Despite its modest size, this waterfall is full of features of a true waterfall with murky water. The lake in Katsura Rikyu is considered the sea. Underneath the lake, covered with moss, above the mossy foliage, all create a familiar blue color of seawater. The stone path separating the lake represents the beach covered with white sand. Here on the lake are images of floating boats floating. From the boat, people can admire the scenery on the water. Nowadays, for urban residents living away from the water and the sea, traveling on a boat is an unforgettable experience. In the garden of Katsura Rikyu, you can also see the view of the countryside. A house called Shoiken was built for that purpose. Outside the window of Shoiken is the paddy field spread out. Rural landscape becomes more alive with the presence of industrious people. They transplant rice in rice paddies, young seedlings are quickly rooted to the soil and become green. The Japanese have been known for a long time in rice cultivation, which is a meaningful work that brings a warm and warm life to everyone, so the image of the rice field has been lovingly reinterpreted at Katsura Rikyu. The huts used for tea are distributed everywhere in the royal garden of Katsura Rikyu. Among them, most notably is the house called Shokintei. In the old days, the aristocracy used this place for healthy entertainment, they had tea together while reading waka poetry as well as holding many other fun parties. In Shokintei, a terracotta kiln is used to cook food. The tea house is built by the method of creating open space to help the tea does not feel separated from the garden. Shokintei is the best place for people to drink tea, enjoy the natural beauty of nature with the lake, woods and birds chirping. People use white paper with beautifully decorated decorative patterns for the walls and walls of the room in the royal garden Katsura Rikyu. It was a white washi paper with an iridescent yellow pattern called Karagami. Many people mistaken for the iridescence of patterns because they are made of gold, but that's not true. To create a sparkle pattern, a mineral powder called mica powder is used. Mica powder when exposed to light will reflect and become glistening. Karagami paper looks beautiful because of countless golden patterns; High quality paper, long lasting color, so this paper is very popular in the construction of high-grade traditional houses in Japan. Although you are not allowed into buildings, you can still see from the outside the furniture surface almost to the rustic and geometric features that modern people admire. On arrival, you will be shown a film with information about the mansion, and some regulations to follow during the visit. The rules include where to take pictures. Guided tours are available in Japanese, so it's best to get an English audio guide for your tour on campus. 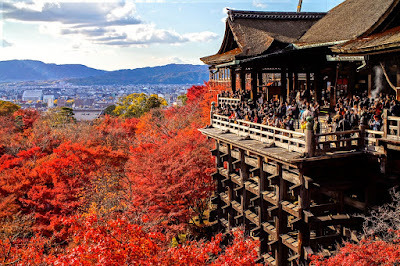 Although visitors are free to enter the Royal Residence of Katsura, they must prepare their permits a few days in advance at the Royal Information Office in Kyoto city center. Guests must show passport when applying for a permit. Homes are usually open only on weekdays. It is easily accessible by bus from Kyoto Station, the city's main transfer station.